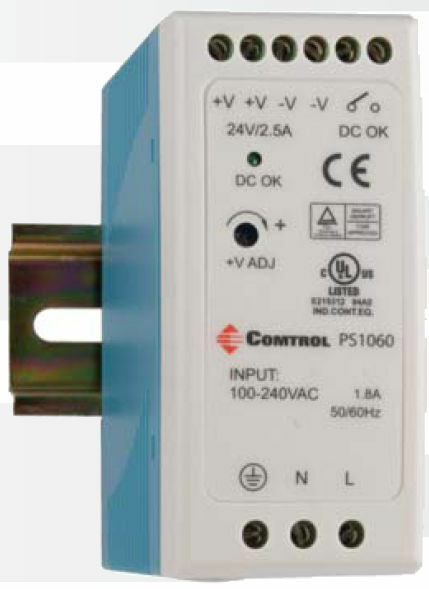 The PS1060 is a Class I switching power supply that is characterized by its slim structure and DIN rail installation. It is housed in completely isolated plastic cases and can endure working temperatures that range from -20°C to 70°C. Providing a maximum efficiency rate of 88%, this power supply offers zero load power consumption. Additional features include short circuit, overload and over voltage protection. The status of the power supply unit is tracked by DC OK signals.